Itâs sort of an unwritten code of the Westâif you shoot a woman whoâs trying to steal your horse, you promise to find her kidnapped daughter. United States Deputy Marshal Custis Long was all set for a relaxing vacation up in the mountains, catching trout and smoking cheroots as he watched the sunset. Instead, heâs startled out of his bedroll by someone trying to steal his horse. Longarm shoots first, only to discover the âthiefâ is actually a woman in desperate straits. 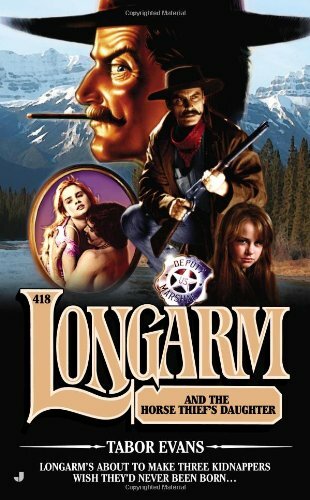 About: Longarm’s about to make three kidnappers wish they’d never been born…It’s sort of an unwritten code of the West—if you shoot a woman who’s trying to steal your horse, you promise to find her kidnapped daughter.